Database setup will show ‘Complete’. 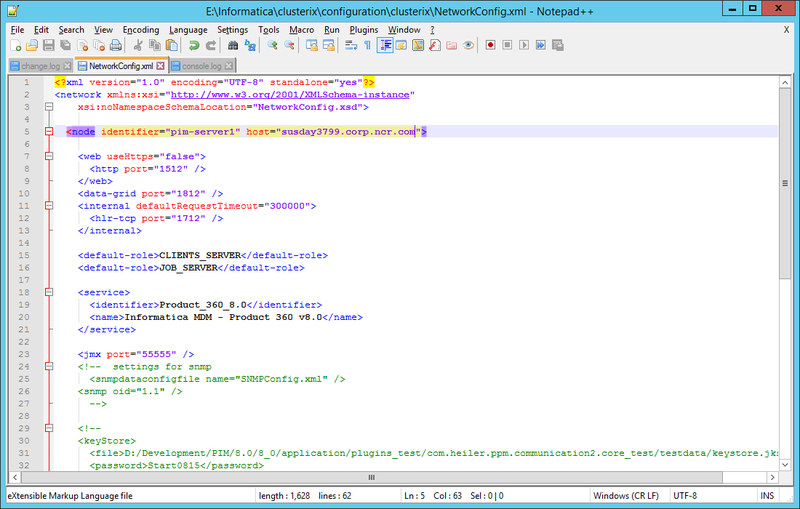 Open the file <PIM ROOT>\clusterix\configuration\clusterix\NetworkConfig.xml in an editor and adjustthe properties as described below. 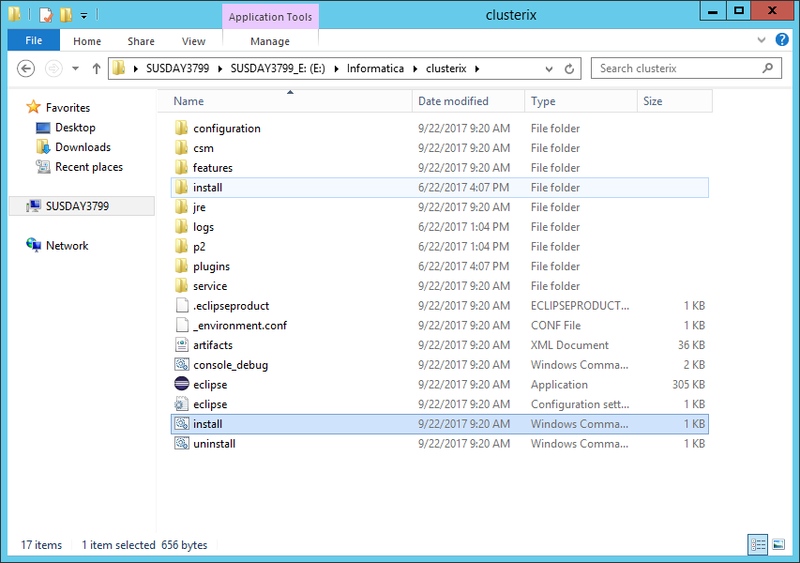 In the “Installation Files”, press the upload button and select the application server archive. The archive has to stay zipped. 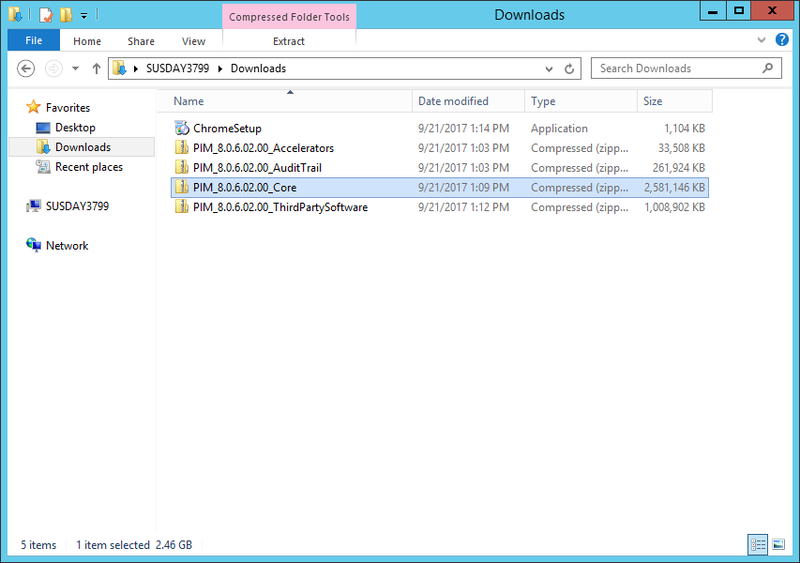 Click on upload to upload the installation file. 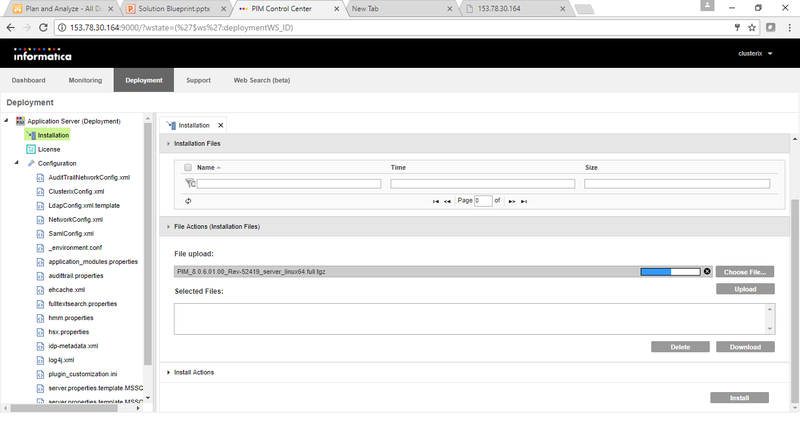 After the upload has been completed, select the application server archive in the widget and press the Installbutton. 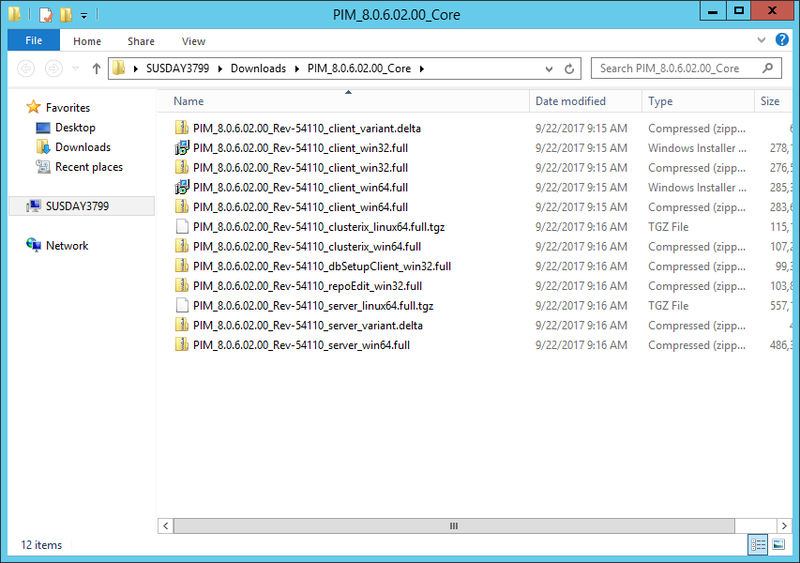 The installation process will automatically copy the installation archive to all server nodes. The archive will be extracted to <PIM ROOT>\server. 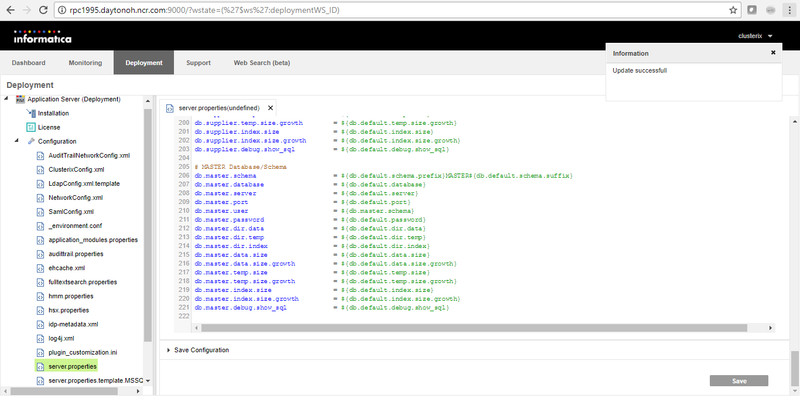 Configuration files will be copied and adjusted accordingly. 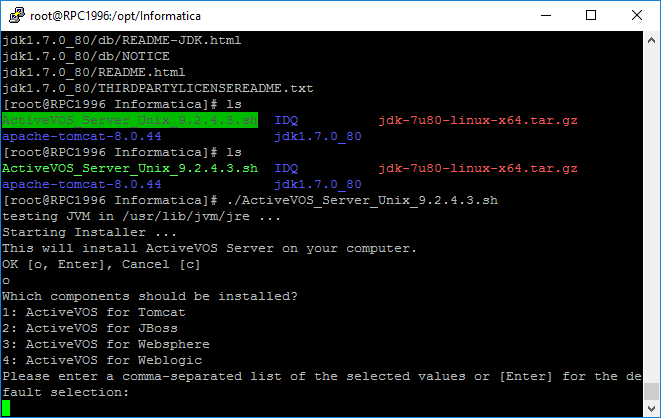 Finally, the Windows/Linux service will be installed on the remote machines. 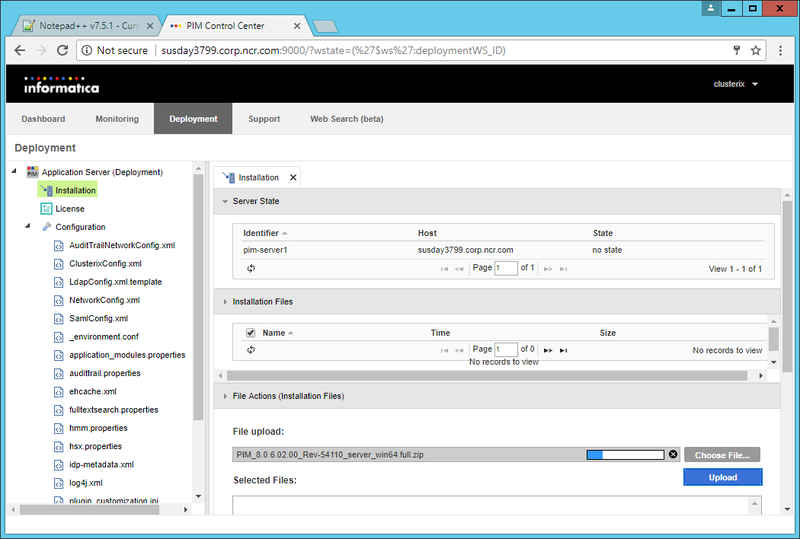 You installed Informatica MDM Product 360! 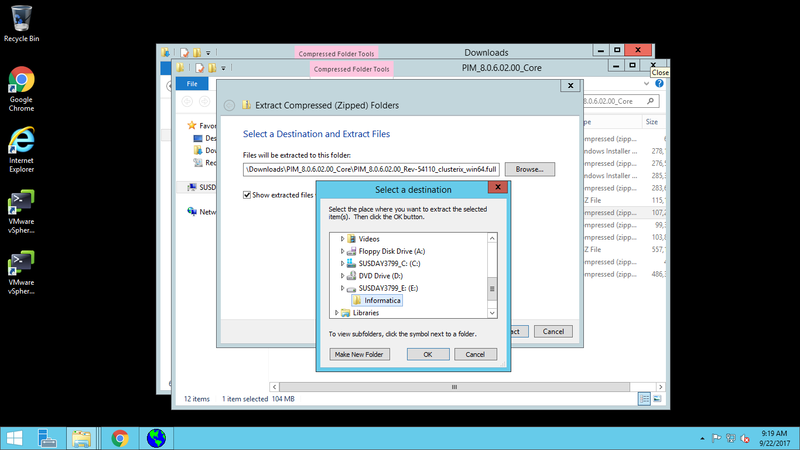 The configuration wizard can perform the following operations. Please select the operations you would like to perform. Before you proceed please review the Prerequisite section of the documentation. 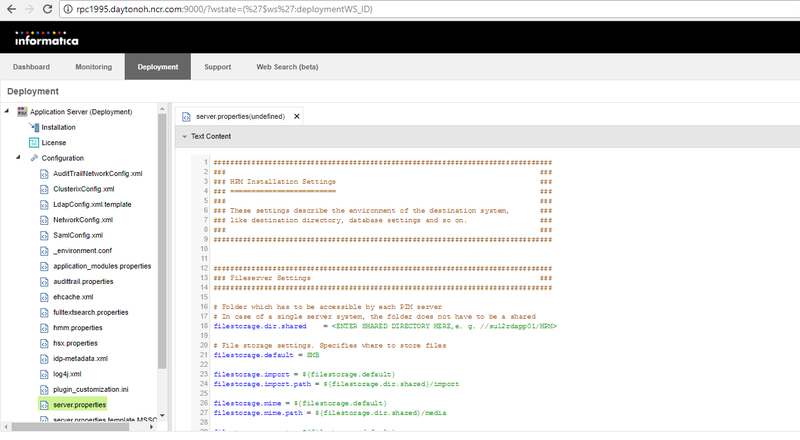 The configuration wizard can perform the following operations. Please select th e operations you would like to perform. Before you proceed please review the Pre requisite section of the documentation. Please provide the information required for ActiveVOS to access your database se rver. Select the Help button to learn more about the parameters on this dialog. Please provide the JNDI names for the following resources. Select the Help butto n to learn more about the parameters on this dialog. ActiveVOS can be deployed in a secured manner. Please select the security option s you want to enable. Select the Help button to learn more about the parameters on this dialog. 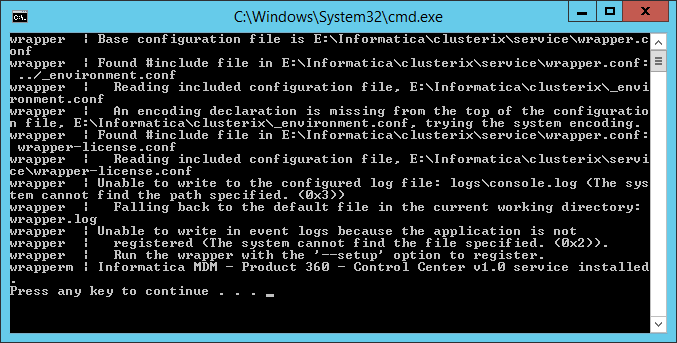 Please configure your cluster options. Select the Help button to learn more abou t the parameters on this dialog. 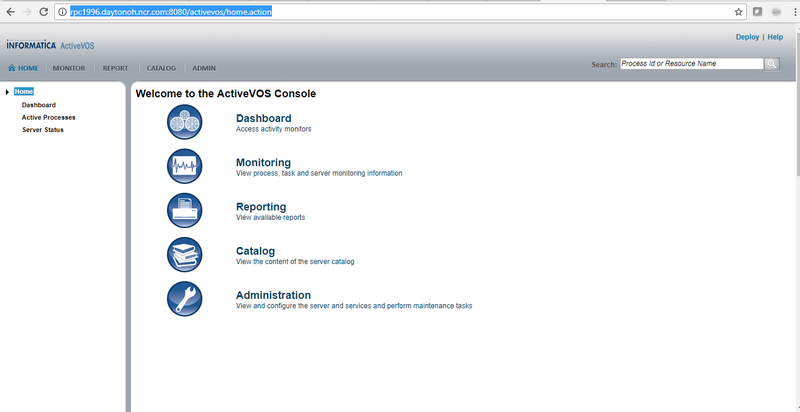 The ActiveVOS Central needs access to services provided by ActiveVOS Server. Pl ease enter the connection information. Select the Help button to learn more abou t the parameters on this dialog. 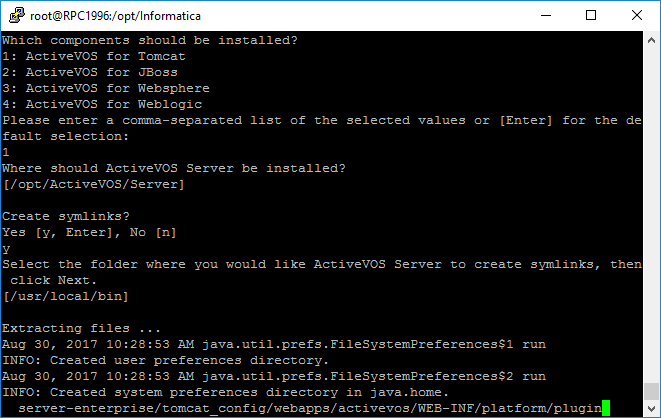 Please provide the information that will be used to complete the configuration o f ActiveVOS database datasource. Select the Help button to learn more about the parameters on this dialog. Please select your deployment options. Select the Help button to learn more abou t the parameters on this dialog. Please select your application server. Select the Help button to learn more abou t the parameters on this dialog. 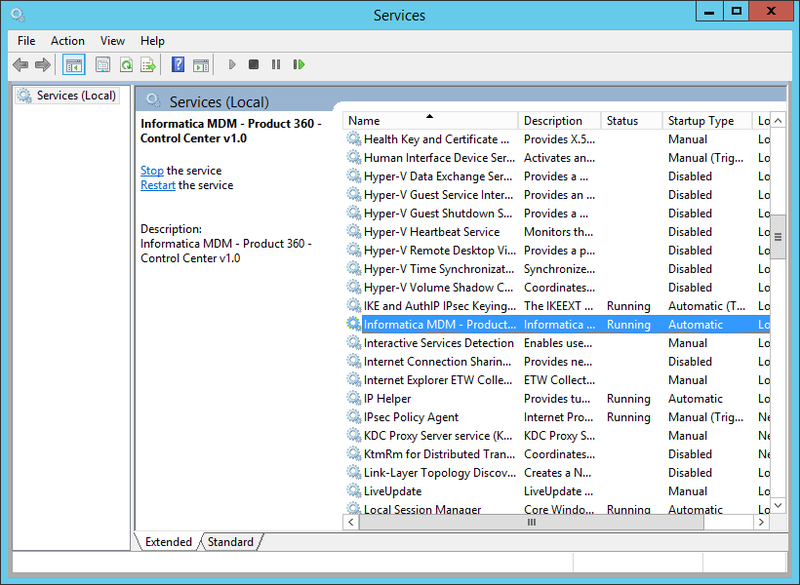 Be sure to configure JVM memory as described in the Installation Checklist. See Help for details.